So, here we are at the 1/2 way point of the event and finally some things are starting to happen. What’s left of Marvel’s heroes finally uncover what they are after in Savage land and to no one’s surprise (meaning those reading) find an ally who was already waiting ahead for them. But to go back a little bit, the book opens with Tony, Hank and Reed trying to figure out the Vision’s creation and what it has to do with Ultron and how the Vision was the end result of Ultron’s evolution. Which later on turns into a cosmic joke to Tony Stark almost like a Trojan Horse which is why they are where they are now. Now to move back up, the heroes with their discovery in Savage land has to make a decision of which way they want to go in order to stop Ultron. This book is the one that ‘turns the corner’ so to speak in the story. This is the book that Bendis wrote where not quite nothing happens but a lot happens at once to finally push the story through the 2nd act and into the 3rd act and it was good after the slow burn of the first 3 and a 1/2 books. I promise you I won’t complain about Hitch’s art. Just deal with it. And yet another book that is moving from slow burn up to boiling. 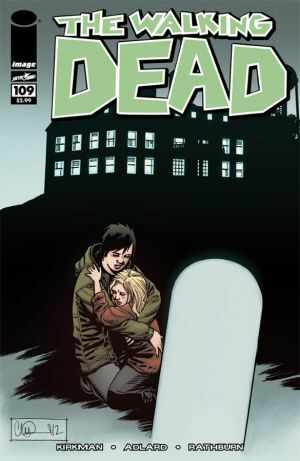 The first 1/3 of the book has Maggie still coping with the death of Glen and meets another resident by the name of Brianna who tries to help Maggie get through her process of grieving and also explains why with their world the way it is, some of the process has changed and how some of it still has to stay they same. The rest of the book shows Rick making plans for his group to fight against Negan and are secretly moving against Gregory’s say so to do it and along the way, while his allies are all coming together, a mole is found. Kirkman wastes no time getting to the heart of matters showing us the Rick while still a noble character, still has flaws in finding the right people he trusts. It’s a similar pattern as if you do 1 thing perfect over here (agreeing to let Carl come along for the raid on Negan) he has 2 things he eventually has to fix over there (keeping Michonne out of the loop and having to repair that friendship and also dealing with a ‘trusted ally’). As always, the end is a bit of a cliffhanger as we move to the conclusion of this story arc. 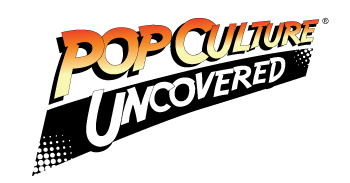 While it’s cool that All new X-men and Uncanny X-men go together like peanut butter and jelly, it’s still a good idea to keep your readers in mind when dropping spoilers that hasn’t appeared in other books! All-new X Men ended when students from the Jean Grey Institute were offered to go with Cyclops and company and prepare for war with humankind. With the cliffhanger, we saw the Stepford Sisters leave and one other…but that surprise was spoiled in this book although in a cynical sense, if you were paying attention, you knew who it was. Either way, I felt two different ways about this book. On one hand, I enjoyed seeing the ‘other side’ of the conversation that Emma had with the Sisters that lead them to leave the school and to see how possibly far beyond Emma they may really be. On the other hand, I was hoping for more of the story to be centered around Majik and not just bits and pieces as we see her succumbing to the after effects of the Phoenix Force. As a whole, I am not entirely surprised how this book carries itself because this was some of the same story telling that we saw from Bendis’ run on Avengers with the New Avengers as a co-book. One side of the story told in one and the other part told in the other and it was really hard to not buy both books and risk missing something but still surprises and spoilers need to be better paced, in my opinion, but a good book nonetheless.